KUCHING: LTT Aquaculture Sdn Bhd, a pioneer in the commercial breeding of empurau fish, will increase the export of Sarawak’s most highly priced freshwater fish. Managing director Bill Lu Thian Tack said the company now exported an average of 100 live empurau to several restaurants in Peninsular Malaysia. The company, which started culturing the fish four years ago in Asajaya farm in Samarahan Division, also supplies empurau (scientific name: Tor tambroides) to restaurants here. 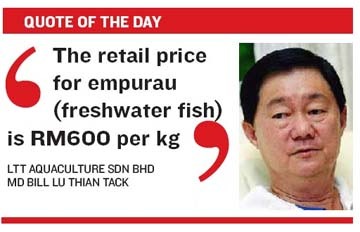 “The retail price for empurau (weighing 1kg-1.5kg) is RM600 per kg. For sizes more than 2kg, it is RM750 a kg. Empurau is an exotic fish and people who like the fish never bargain on the price,” Lu told StarBiz. He said one of the restaurants it supplied to in the peninsula sold the cooked empurau at RM880 per kg. 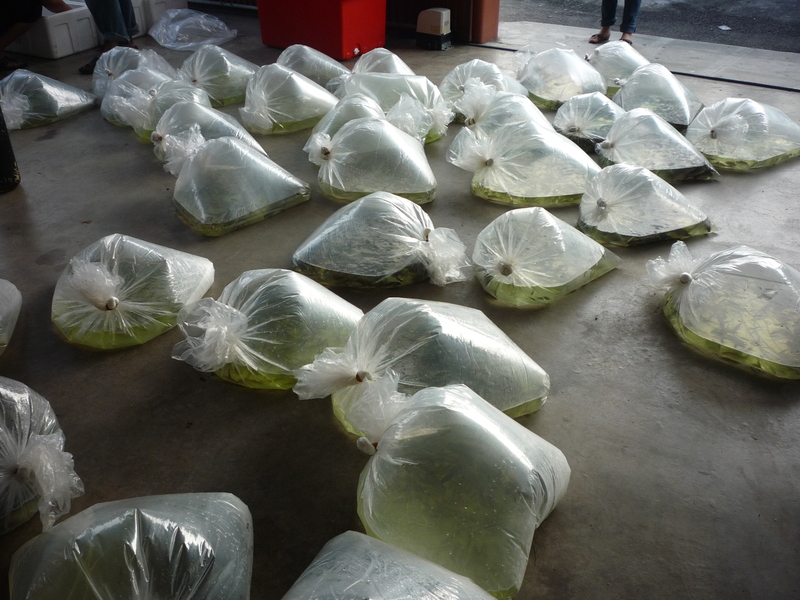 With more than 10,000 adult empurau ready for the market, Lu said his target was to increase domestic sales between 200 and 300 fish a month, resulting in a monthly income of about RM300,000. He also planned to export to Hong Kong and China and was now negotiating with potential importers from Guangzhou and Hanzhou, who had tasted and liked the fish. “China will be my main market which I hope to penetrate this year,” he added. LTT Acquaculture ventured into large-scale breeding of the empurau after Sarawak Agriculture Department, in collaboration with an Australian university, made a breakthrough five years ago to rear the fish in captivity. The company has invested about RM4mil in its 12ha Asajaya farm, which now breeds the empurau, dubbed the King of Sarawak rivers, in 64 special concrete ponds. The farm has some 300 brood stock, which each produces about 5,000 eggs twice a year to be hatched into fish fries for breeding. “Empurau is a very slow growing fish. The growth is about 500g a year in the first three years. After reaching between 2kg and 3kg, it could grow faster at between 1kg and 2kg a year,” said Lu. Lu said empurau population in the wild had dwindled drastically and because of the limited catch, the fish now sold between RM400 and RM450 per kg in Kapit. In the early 1970s, the fish was sold between RM15 and RM25 per kg in the local market. 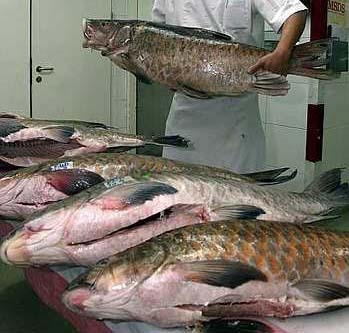 we have empurau fish 1kg up.with good price.